When We Get A Dog It Is Supposed To Be For Keeps, For As Long As We Live We Should Take Care Of That Dog And He Will Be Happy To Wag His Tail Every Time He Sees Us And Love Us. I don’t know about you but when I read stories like that they make me feel warm and fuzzy on the inside and at times I can’t help myself but shed a tear…or two. Well, now to the story…in a lot of cases even when owners don’t take care of their dogs, pooches still love them and wagging their tails every time they see their owners. We shouldn’t underestimate dog’s emotions and love for their family – owners. 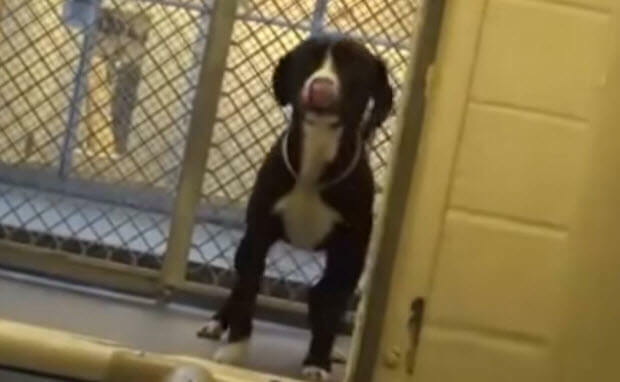 This cute dog’s name is Benny and he is a temporary resident at a high-kill shelter in Gardena, California. Benny will leave this place one way or another. And another is what most dogs lovers try to avoid and that is why a lot of efforts are made to have people adopt instead of buying your dog. His exuberence is like, “Some one loves me and wants to take me home”. Bless you little one and I hope you live a long, loving, and happy life. 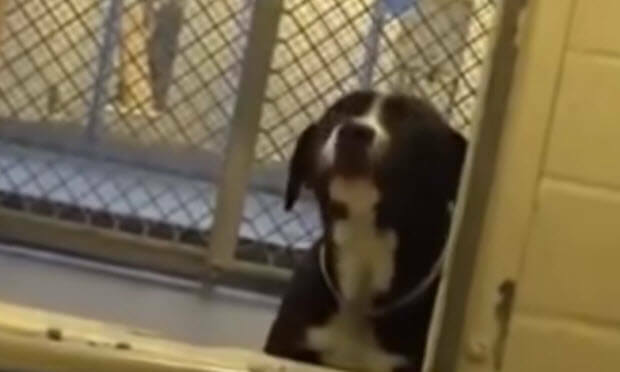 This was such a happy dog,I hope he lives a very happy new life with his new mom and dad…but what about all the other dogs that were there ? 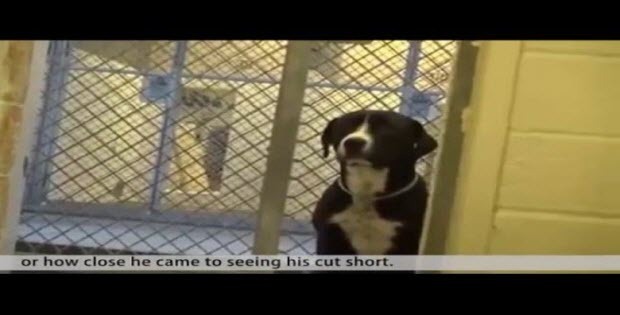 Why do shelters have to kill dogs at all,the shelters should send them to rescues or foster homes or put the dogs picture online.Benny got very lucky and he was well and friendly and full of life, putting dogs down that are healthy is just wrong.Thank God Benny got out and has a loving home now.